The following example illustrates how the feature “Debug this view” can be used to analyze the push-down of filters. Delete the proposed standard query, replace it with the query on the view under investigation and execute by pressing the green arrow on the right. Debug query to run. Execution button is highlighted in yellow. 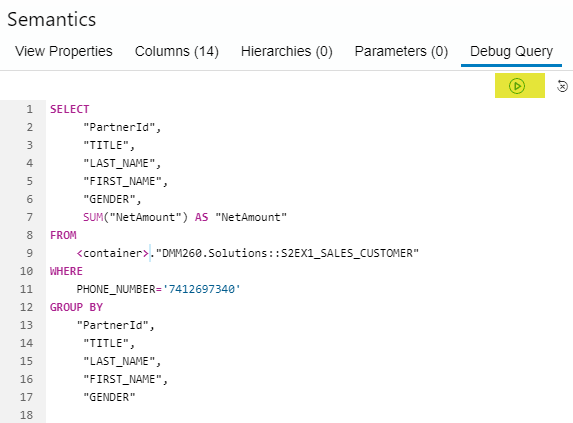 In this query the view S2EX1_SALES_CUSTOMER is joined to a single entry and thus filtered by this entry (7412697340). The question is where this filter will be applied: already at table “BusinessPartnerContacts” or later. As a summary of this example, the debug view does not show the filter push-down that is due to later optimizations and the Explain Plan cannot be used because the plan is not completely unfolded. 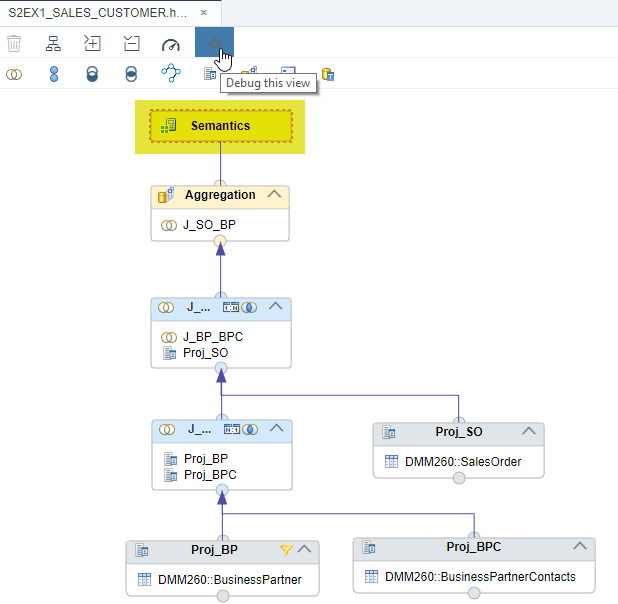 Instead the filter push-down can be seen using the methods “Visualize Plan” and “Analyze SQL”. Thanks. 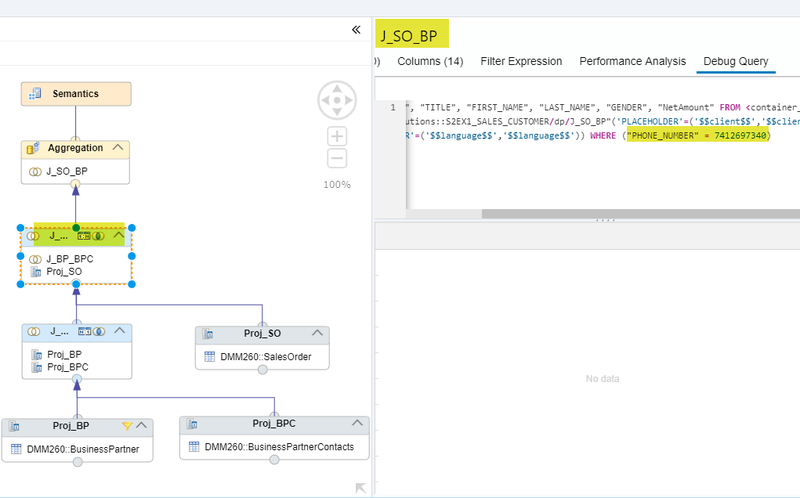 Filter push down one of the most important aspects of design and development in HANA. 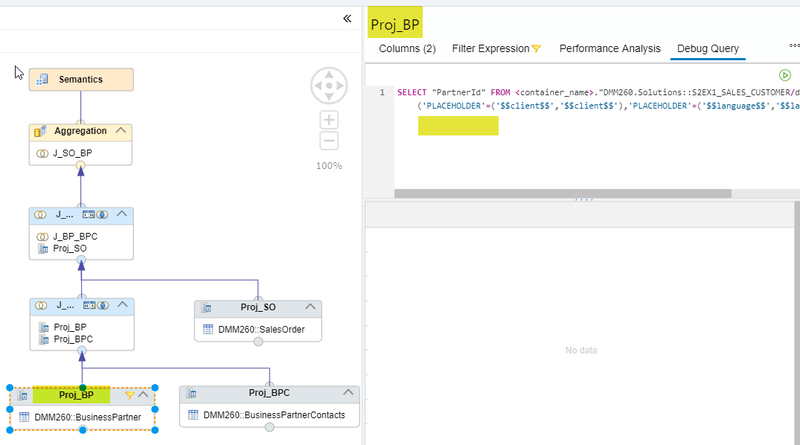 Understanding the execution plans is something I myself don’t claim to be the best at even with 6 years of HANA exp. I like the articles you wrote and the examples and illustrations you have embedded. I hope to see more of these articles in the future.